What would happen to an RNA virus if its genome were placed in a bad neighborhood? The answer is that fitness plummets. RNA virus populations are not composed of a single defined nucleic acid sequence, but are dynamic distributions of many nonidentical but related members. In the past I have referred to these populations as quasispecies but that is no longer the preferred term: mutant swarms or heterogeneous virus populations should be used instead. The term for all possible combinations of a viral genome sequence is sequence space; for a 10,000 nucleotide genome this would be theoretically 410,000 different genomes – a huge number, more than the atoms in the universe. Any RNA virus population occupies only a fraction of this sequence space, in part because many mutations are deleterious. Studies have shown that viral genomes occupy specific parts of sequence space, called neighborhoods, and movement to different neighborhoods is important for viability. If the viral genome is placed in a bad neighborhood – one that is detrimental for virus fitness – the ability to explore sequence space is restricted. An example of the effect of changing viral sequence space is shown by a study in which hundreds of synonymous mutations (they did not change the amino acid sequence) were introduced in the capsid region of poliovirus (link to paper). Such rewiring, which placed the virus in a different sequence space, reduced viral fitness and attenuated pathogenicity in a mouse model. In other words, the viral genome was placed in a bad neighborhood, from where it could not move to other neighborhoods needed for optimal replication and pathogenesis. While the genome rewiring did not affect the protein sequence, it might have had deleterious effects on RNA structures or codon or dinucleotide frequency. For example, introduction of codon pairs that are under-represented in the human genome can produce less fit viruses. A recent study avoids these potential issues by introducing changes in the viral genome that do not affect protein coding, RNA structures or codon or dinucleotide frequency, yet place the viral genome in a different sequence space (link to paper). All 117 serine/leucine codons in the capsid region of Coxsackievirus B3 were changed so that a single nucleotide mutation would lead to a stop codon, terminating protein synthesis and virus replication (this virus is called 1-to-Stop). The serine codons were changed to UUA or UUG; one mutation changes these to the terminators UAA, UGA, or UAG. Another virus was made in which two mutations were needed to produce a stop codon (NoStop virus). 1-to-Stop viruses replicated normally, but when mutagenized, they had significantly lower fitness than wild type or NoStop viruses. Extensive passage of the virus in cells, which would be expected to cause accumulation of mutations, had the same effect on fitness. When a high fidelity RNA polymerase was introduced into 1-to-Stop virus, it replicated like wild type virus. Similar results were obtained with an influenza virus when one of its 8 genome segments was rewired to produce 1-to-Stop and NoStop counterparts. The 1-to-Stop Coxsackieviruses were attenuated in a mouse model of infection. Furthermore, mice infected with 1-to-Stop virus were protected against replication and disease after challenge with wild type virus. These observations suggest that rewiring viral RNA genomes could be used to design vaccines. These findings show that recoding a viral genome places it an different sequence space than wild type virus, in which single mutations can lead to inactivation of viral replication. This new neighborhood is unfavorable (‘bad’) because the virus cannot readily move to other neighborhoods to accommodate the effects of mutation. 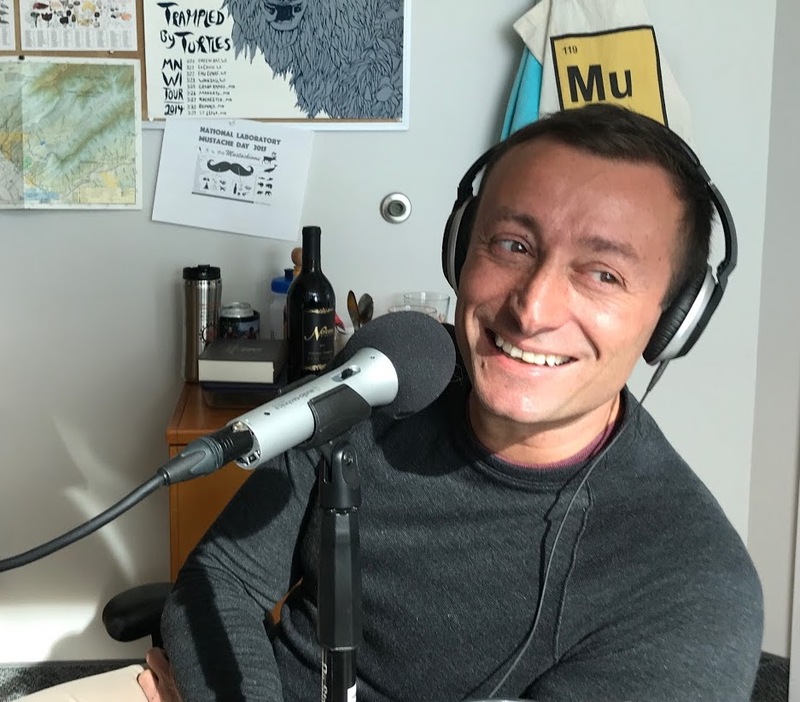 For more discussion of viral sequence space and rewiring viral genomes, listen to the podcast This Week in Evolution #24: our guest is Marco Vignuzzi (pictured), senior author on the second paper discussed here.